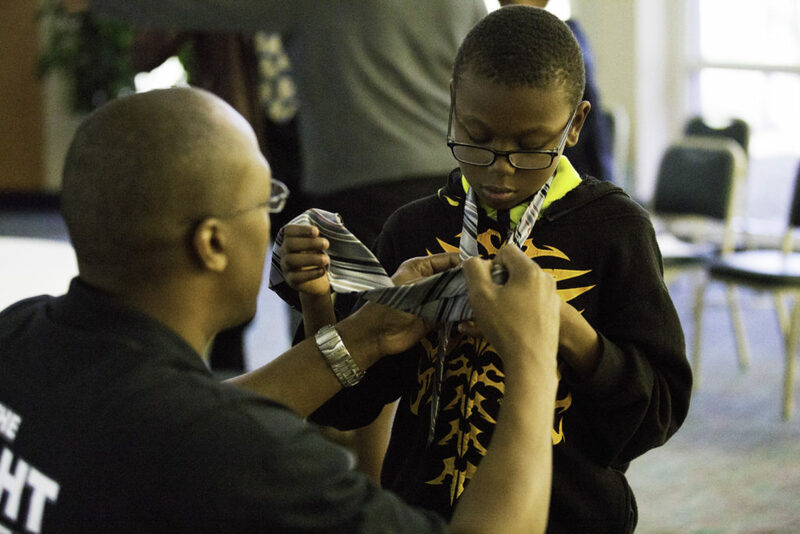 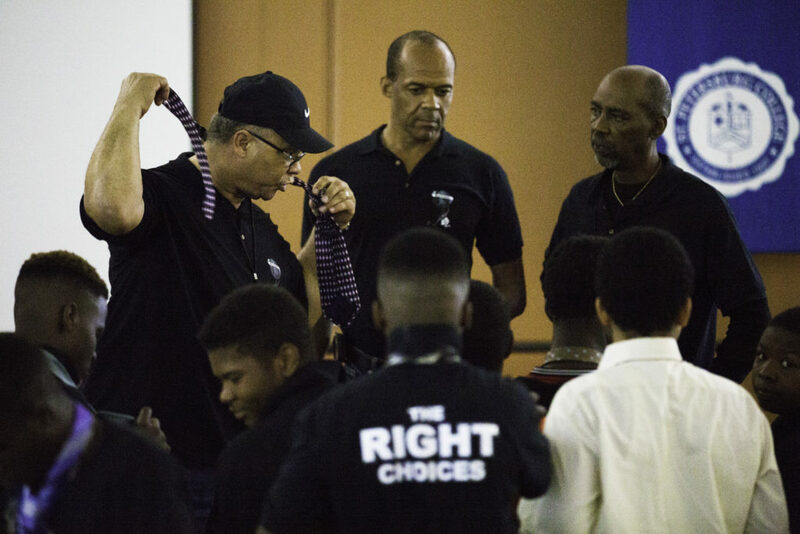 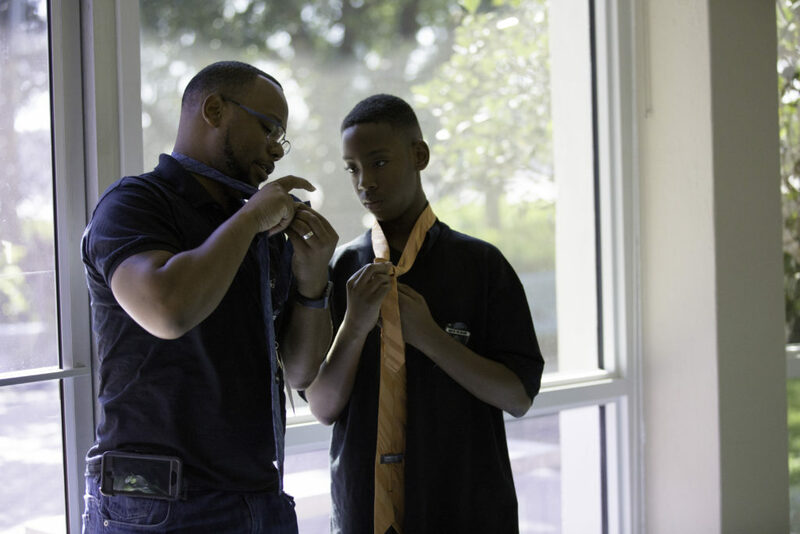 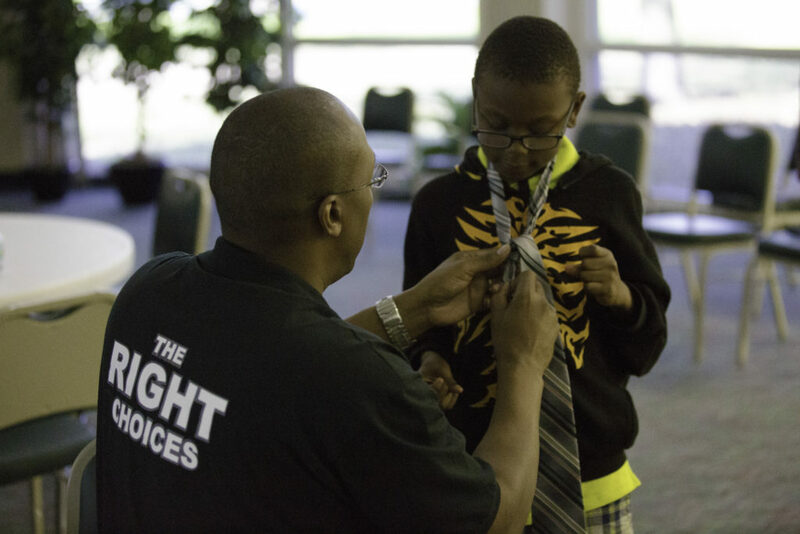 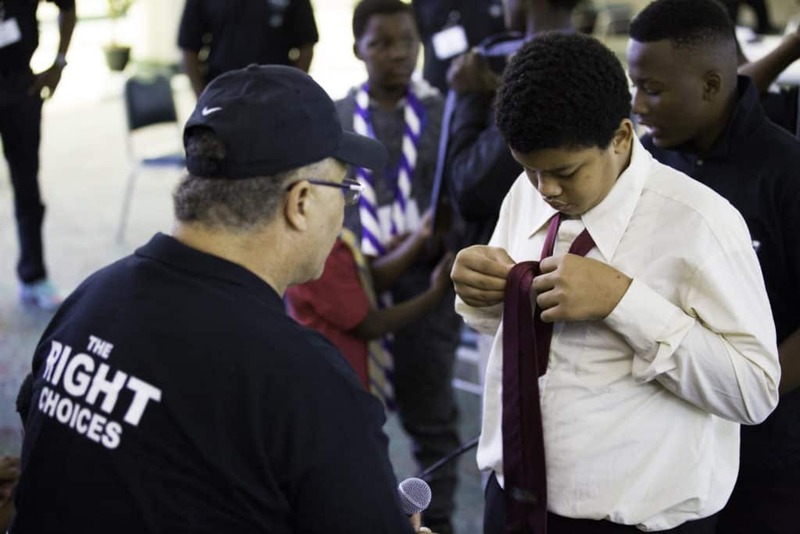 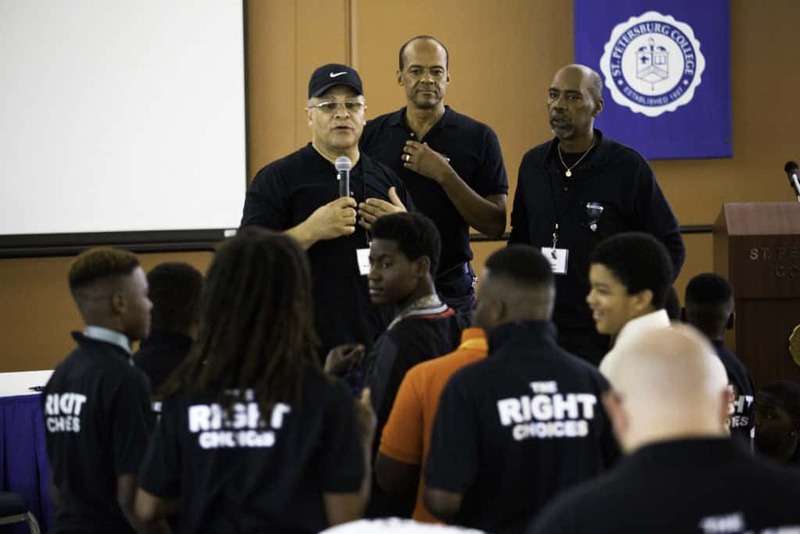 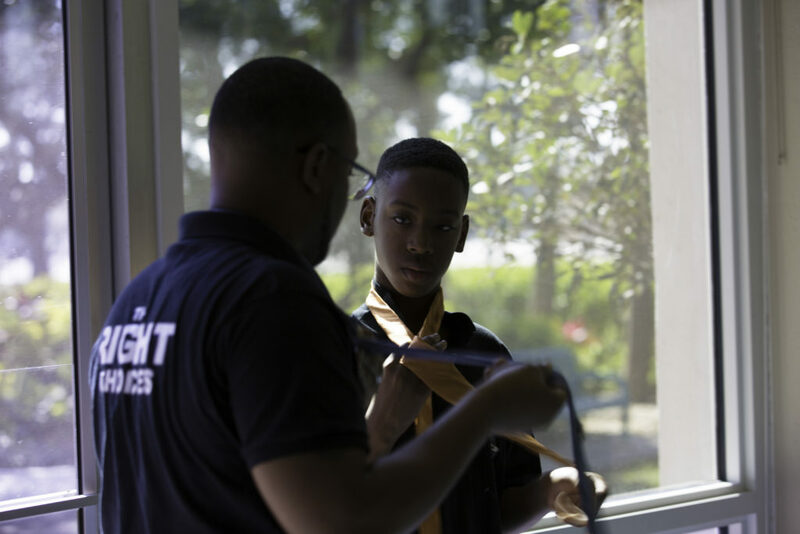 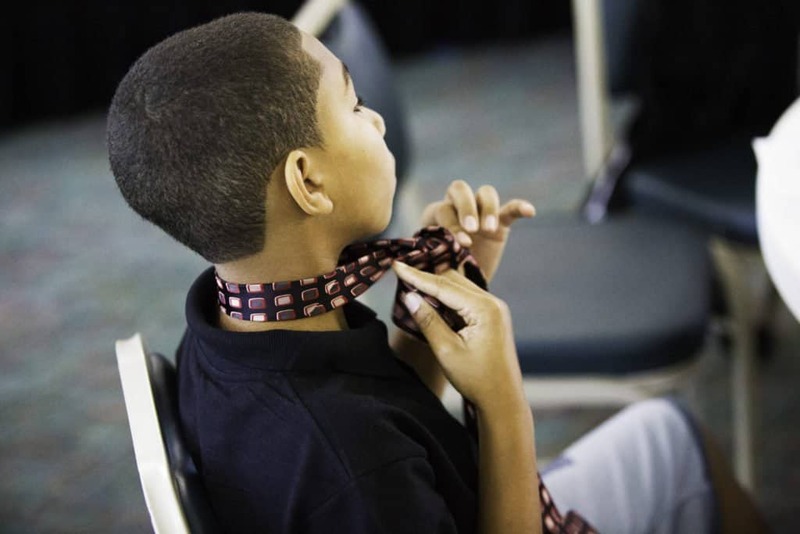 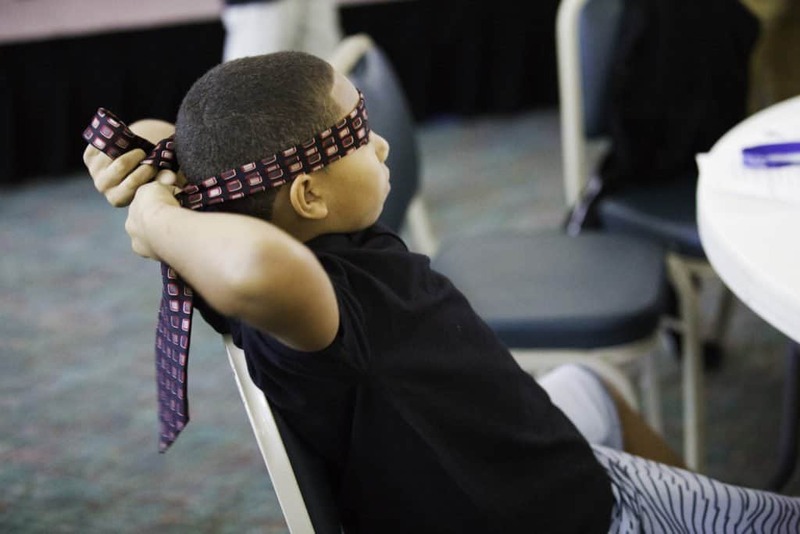 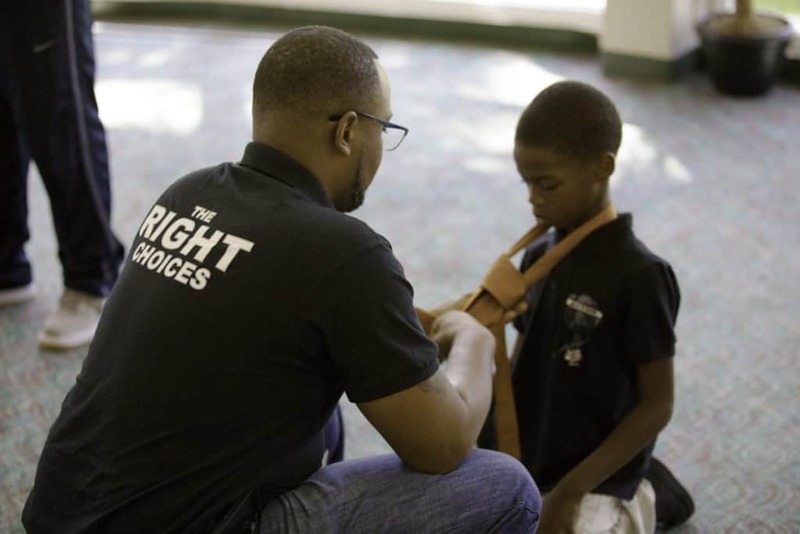 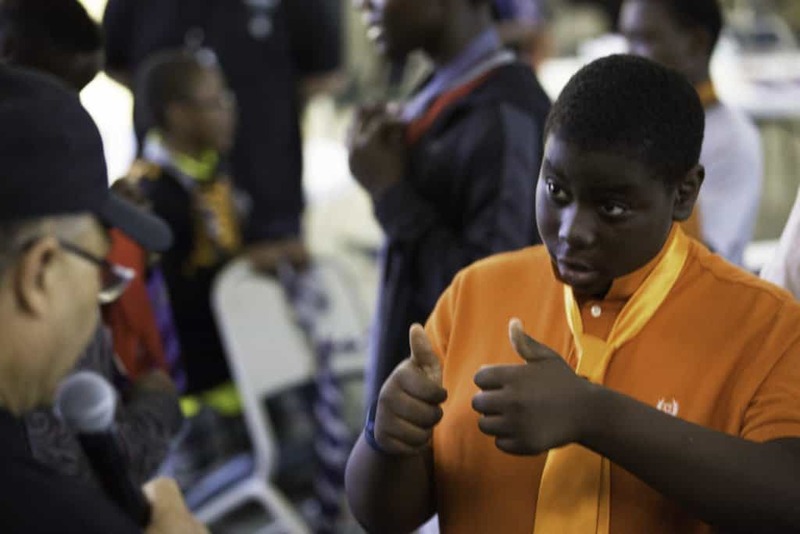 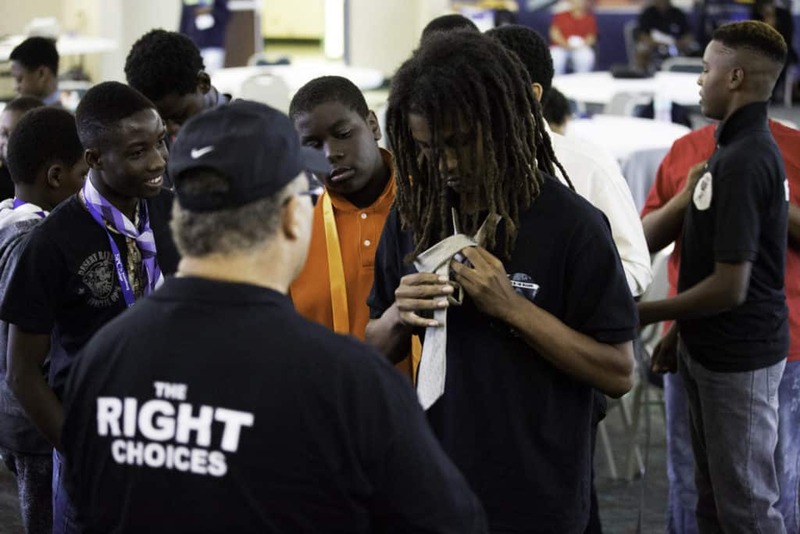 The highlight of the February Men In The Making Session appeared when the mentors took the time to show the young men the simple act of tying a tie. 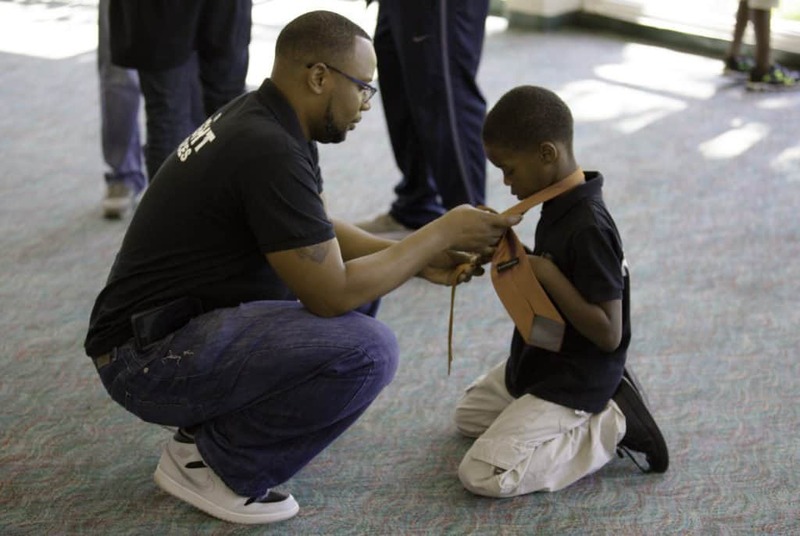 This simple gesture served as a symbolic rite of passage that many sons experience with their fathers. 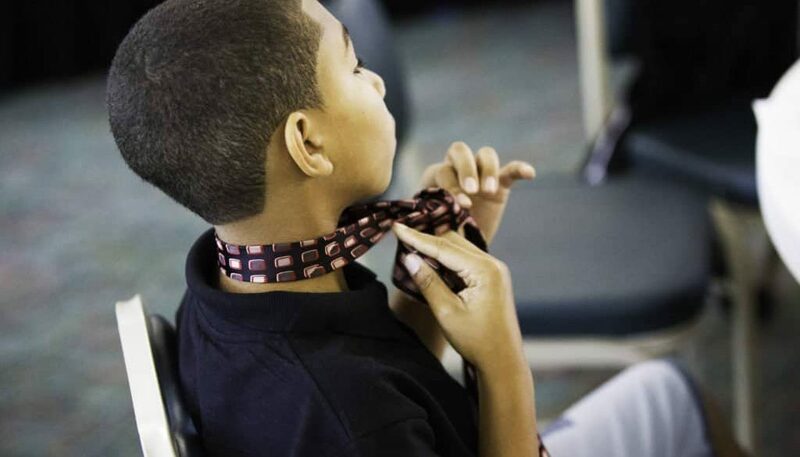 There are several pieces of literature that point out the symbolism in every aspect of one’s tie. 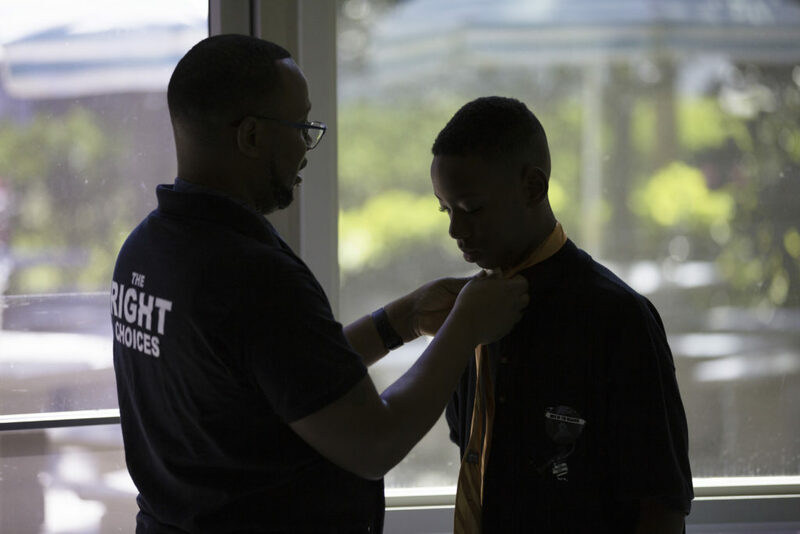 Passing on this tradition and skill to the younger members of the group was an important totem in the thread of trust being sewn in the program.